One of my best friends is vegan so she doesn't eat eggs, milk, or butter... some pretty common ingredients in a cake. So when her birthday rolled around I wanted to make her a birthday cake she would love! 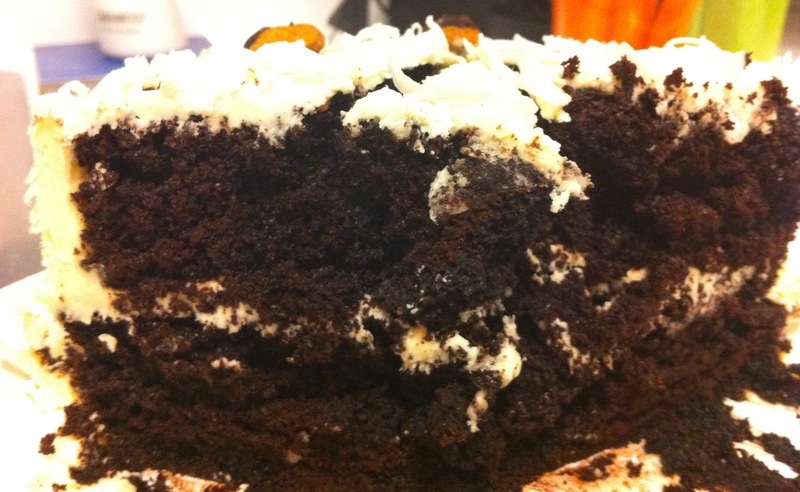 With a few substitutions, I made a completely vegan chocolate almond cake with vegan coconut cream cheese frosting. 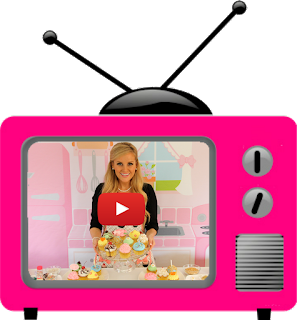 Preheat the oven to 350 degrees F. Grease and flour two, 8" cake pans or line cupcake pans with 24 baking cups. Sift the flour, sugar, cocoa, baking soda, baking powder, and salt into a large bowl and set aside. In a small bowl lightly whisk together non-dairy milk, oil, vinegar, vanilla and almond extract. Using a whisk or wooden spoon, gently stir wet ingredients into bowl of dry ingredients just until incorporated. Dissolve espresso powder in 1/2 cup boiling water and immediately fold into batter. Do not over-mix. Batter will be very thin. Distribute all of the batter evenly between prepared pans. Bake for 30-35 minutes (18-23 minutes for cupcakes), or until a toothpick inserted comes out clean. Cool completely on a wire rack. Prepare the frosting: With an electric mixer, beat shortening and non-dairy cream cheese on medium speed until smooth (make sure they are both at room temperature so you do not get lumps in your frosting). Gradually beat in powdered sugar until incorporated. Beat on medium speed for about 3 minutes, until smooth and creamy. Add vanilla and coconut flavoring to taste. Mix in shredded coconut.